When I was discussing the details of my trip to Florida with my boss, she casually mentioned that Lars Petersen was game for an interview. I nearly choked on my coffee. It’s one thing to send in a custom boot order for the man, but it’s something else entirely to sit down and chat with him. Lars Petersen is a big deal! 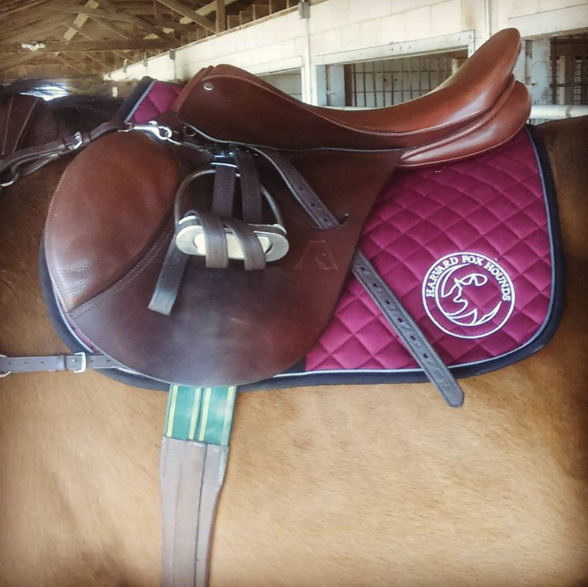 He’s competed at the World Equestrian Games, the World Cup Finals, the Continental Championships, and the Olympics! Know what happened the last time I spoke to an Olympic rider? I babbled “I LOVE YOUR BOOK YOU ARE MY FAVORITE RIDER PLEASE AUTOGRAPH THIS?” and thrust a copy of Training The Three Day Event Horse And Rider at Jim Wofford. Smooth, I know. I thought hard about the questions I’d like to ask him and tried to put together questions with room for follow-ups and tangents. He was pleasant and thoughtful throughout the interview, and I think he had some good things to say. SP: I heard you recently became an American citizen- congratulations! Are you excited to ride for America in the future? LP: Yes, I am. I must say, I’ve been here for- I’m going on my sixteenth year now, and I really like it here. SP: That’s good to hear! As someone that’s lived and competed and trained in both America and Europe, what kind of differences do you see in training systems, competitions, and the horse culture? LP: Competition wise, the competition is of course harder in Europe than it is here. They have more good shows. I mean, many, many shows like WEF every weekend, which we don’t have so many of over here. We have the new facility in Tyron, which hopefully- well, I have seen it- will be just spectacular. So hopefully there will be some more shows. And training-wise…I mean, people can train the way they want to train, I always say. I do it the way I have always done it. I still go to Blue Hors ten times a year to train and I haven’t changed that system. There’s a lot of systems over here. SP: So you just do what works for you. SP: And it has been working- you’ve been at the top of the sport for two, three decades. 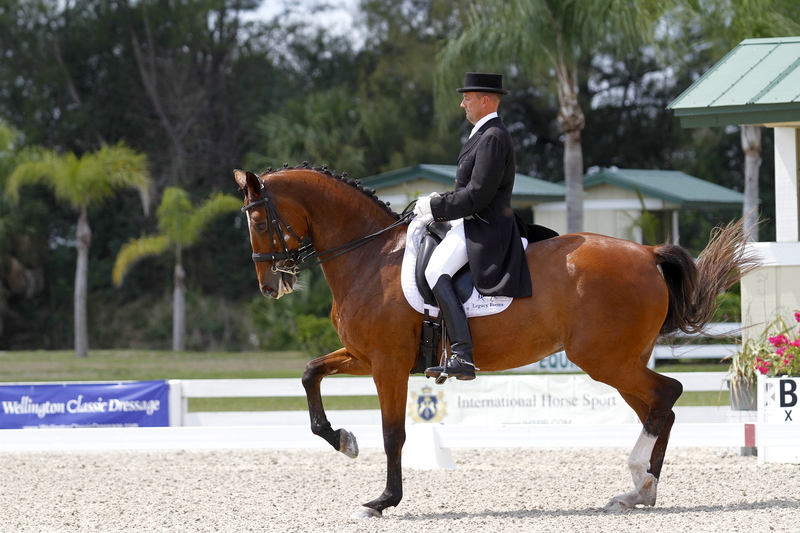 How did you get started in dressage? LP: From my dad. 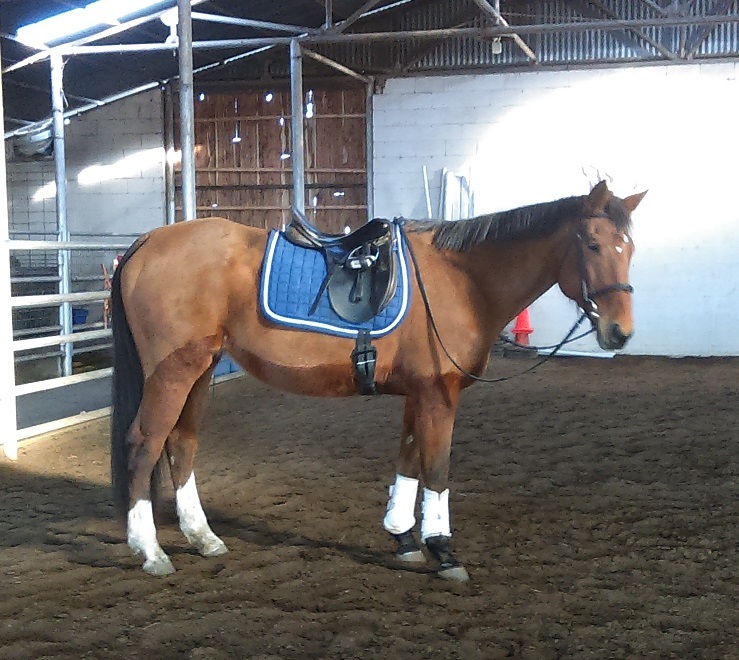 He got me into it, and he rode himself, both dressage and jumping. I used to jump horses a lot. SP: And you made the switch to only dressage? LP: Yeah, I was always better at dressage. I enjoy jumping a lot but yeah, it’s dressage now. SP: Your horse Mariett is eighteen. How do you keep a horse like her on top and getting better as she ages? LP: Well, that’s very difficult. And it doesn’t work with all horses. But my dad always said, “Learn from people whose horses get old.” And I guess as I get older- well, as you get older, you learn a lot of horsemanship. It’s having a good blacksmith and a good veterinarian. What you do in the ring every day is the most important. I’ve been fortunate; a lot of my horses got old. It’s the whole team- farrier, vet, rider, groom, saddler. SP: You ride in Sommer saddles. How do you like them? SP: Can you tell me about some of the other horses you’re working with and bringing up? LP: I have a horse, from Altersgait Farm, he’s now turned eight. He’s a Quaterback. [ed.- see information on the Oldenburg stallion Quaterback here] My good friend in Denmark bred him and I bought him and sold him to them [Altersgait Farm] but then they got a little too much horse! So now I have him, and he’s gone Prix St. Georges already as a seven year old. He’s very talented, so he’ll be fun over the couple of years to finish up. SP: What do you look for in a dressage prospect? 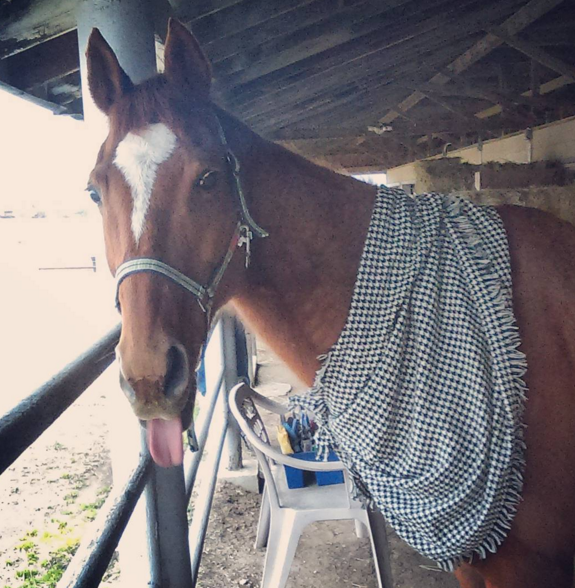 Are there certain breeds or bloodlines that you like, or is it more about a horse’s conformation? LP: Yes, there are some bloodlines I like, but it’s also about conformation. You know, an uphill build horse. Good hind legs. SP: What kind of bloodlines do you like? LP: You know what? All my horses are from all different kind of bloodlines. I think if you have one with a good heart and good gaits…A dressage horse is made. You can train, you can do a lot. It’s not like a jumper- if they just don’t have the talent to jump, you don’t go very far. Of course, I like something Danish. [laughs] I never used to like Dutch horses, and especially not Jazz, but now I have two Jazzes in my barn that I love! [ed.- see information on KWPN stallion Jazz here] One is a seven year old mare, I think she is the best young horse I’ve ever had, so easy and very talented. But I don’t think I have a specific bloodline. SP: So what are some of your goals for 2016, for this season? LP: For this season? Well, Denmark is not qualified for the Olympics, so they have to go through world rankings. So I’m just trying to keep showing, keep Mariett up on the world ranking list, and that goes then to the Federation and the Federation decides who the team is. So, yeah, after that, we go from there! Lars was more taciturn than I expected, so our interview was relatively short. He cheerily invited me to join him, my boss, and some clients for a beer after we finished up; I wish I had that interlude on record! They were discussing the politics of the Wellington equestrian world, and someone pointed out that there seemed to be a clique of ‘cool people’ who would not deign to associate with others. At that point, Lars burst out laughing, gestured to the group, and said, “We are the swamp people of Wellington!” and advised me to embrace my status as a swamp person. And there you have it folks: Olympians are just like us, only swampier.